Earlier this month, we watched a SpaceX rocket—fully loaded with its satellite—explode suddenly and inexplicably. At the time, the cause remained a mystery, but now SpaceX’s engineers have traced the flaw to its source. 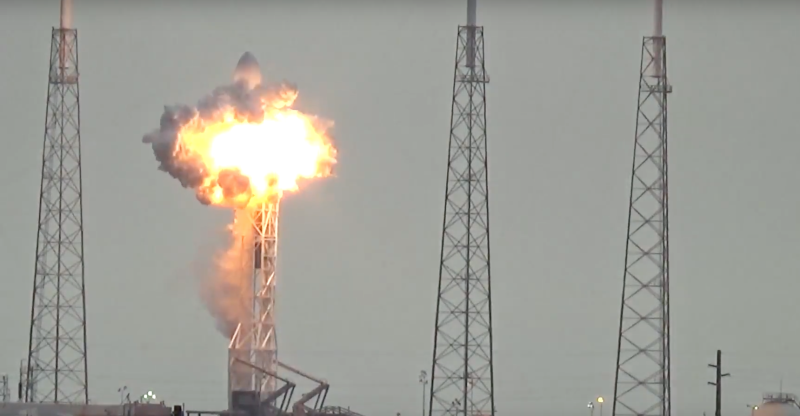 SpaceX has released the initial results of its investigation, which reveal that it believes a breach in the helium system in the Falcon 9's liquid oxygen system caused the sudden flare up. The company gathered up footage of the fire as well as recovering and cataloguing all the remaining debris, which they stored up in a hangar to try and find the source of the problem. From there, SpaceX says it made a massive “fault tree” tracing every plausible cause of the fire to get to its initial finding. Critically, the private space flight company says that this incident wasn’t related to its previous explosion, where its CRS-7 mission suddenly exploded—along with its full payload of cargo—on the way to the International Space Station. But there was also plenty of good news. The launch pad control systems are in relatively good condition, the company reports, and SpaceX’s rocket support building had no damage. Also, both the liquid oxygen fuel farm—where the company stores tanks of super-chilled liquid oxygen—and its kerosene fuel farm were thankfully left untouched. After the CRS-7 explosion, SpaceX ended up slightly revamping its Falcon 9 rocket. Whether we’ll see a similar remodel this time will have to wait for the full final results of the investigation. But—with the facilities intact and the company saying that it wants to start launching rockets as soon as November—we should seeing the company’s Falcons back in the sky again soon.